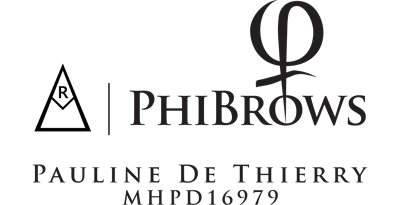 Our technician Pauline De Thierry, is trained in traditional Permanent Makeup (PMU) and PhiBrow Microblading as a certified PhiArtist with PhiShading and PhiBold techniques. Pauline has trained both nationally and intentionally to increase her skills and design for the art of micropigmentation. First training in 2013 with the Australian Cosmetic Tattoo College, she has since aspired to perfect her skills and has trained with a range of education providers in both New Zealand and Australia. Pauline is now specializing her skill with PhiBrows Microblading and will be introducing PhiRemoval in early 2018. We offer these services in a clean and sanitized manner with disposable needles, quality pigments and professional consultations to meet industry expectations. Pauline will be attending the World Master Conference and Gala in Belgrade, Serbia in September 2017 to lean leading edge techniques from the world’s best. Pauline is looking forward to bringing these skills back to New Zealand to perfect the results of achieving the most natural 3D definition brow for her clients and industry. This cost is redeemed on your 1st treatment if performed within 2 months of the consultation. During this time, you will complete the required Client Forms and Treatment Documents. The technician will discuss the treatment procedure and answer any question you may have. She will also review your consultation forms and your skin to ensure you are in the best health to receive the treatment. If there is a concern, you may be asked to seek medical clearance from your doctor or specialist. You are welcome to view our client images on the Cosmetic Creations Facebook page, or the _cosmetic.creations_ Instagram account. 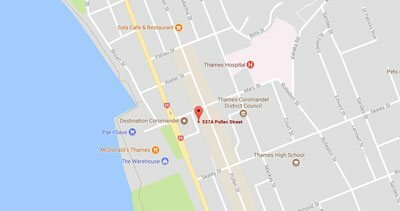 * you will find the link to Facebook & Instagram at the bottom of this page to view images of treatments, training and results. What is PhiBrows, and where is it from? PhiBrows was born in Europe, teaching the most beautiful technique of manual drawing of hairs, permanently. It was developed by Branko Babic, who was first to marry the golden intersection with permanent make-up. How do we get the ideal brow shape? By using the Phi ratio and Phi divider, the shape of the eyebrows is defined, while considering face morphology. How can we assess symmetry? Symmetry is achieved through PhiBrows application and it is calculated while the clients’ eyes are closed, because in that way mimetic muscles that can affect eyebrows’ symmetry are relaxed. Is there any down time? Can we get a better understanding of the healing process? Definitely not. Following the correct contributes to more than 50% of the success. Not following the guidelines may result to colour loss of up to 80%. Colour duration primarily depends on how oily the skin is. The oilier the skin, the shorter the colour lasts. Sweating and sun exposure also reduces colour fastness. On average, expected time until a new ‘colour burst’ is between 10 and 12 months. *With extremely oily skin, it can be up to 6 months. *Your therapist will provide you with a home care kit and a Home Care Information sheet to follow for optimum healing results. Any correction, perfection or colour burst for any client who has received a treatment from another technician must attend a free 15-minute consultation to review pigment retention, colour and design before Pauline accepts to perform the treatment. Cost can start from $295 OR will be advised at full price OR treatment may be declined due to pigment, colour, skin condition and shape. * Your technician will discuss your options including possible PhiRemoval before new design work. * a follow up treatment is incorporated into your treatment cost. This treatment is to be performed between 4 and 8 weeks after your initial visit. This will enhance and correct any imperfections that may occur during the healing process. A 3rd Perfection Visit is *$295. * A Colour Burst Treatment is recommended every 6 -24 months to maintain the appearance and vibrancy of colour, shape and design. The treatment cost will be advised by your technician and starts from $295.00. If you have lost shape, colour definition and design the cost will be for a 1st/new treatment. We suggest you make an appointment with your specialist to discuss your desires in regard to your expectations. The 30-minute consultation is $50 and is deducted from your 1st treatment. During this appointment, we will go through your medical history and current medications to verify if you are able to receive this treatment. We will explain the procedure and answer any questions you may have. Ask us to view our portfolio. PERFECTION VISITS are highly recommended and can be priced depending on your individual needs. Discuss this with your technician at time of booking to clarify the fee for your treatment. Perfection visits will perfect any areas of concern and will deepen the colour enabling it to hold a lot longer. Every day activities and product use can contribute to colour fade. Especially during the healing process. Chlorinated pools, sea water, wrong product use during healing, VitA products, microdermabrasion, IPL. Please discuss this with us. REMEMBER everyone’s expectation of shape and colour is different, we will guide you in your decision, ultimately supporting your needs with professional guidance.